on 4/4/04 in Jacksonville, NC under the honorable judge Walt Pasko! 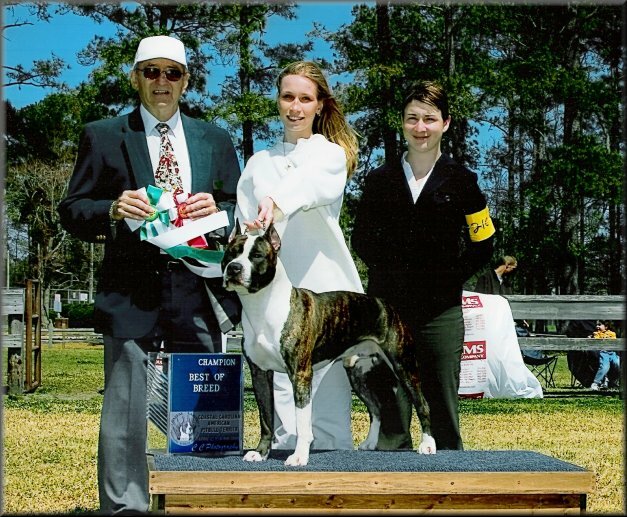 that he finished with a Best Of Breed from the classes over Top Ten Dogs. 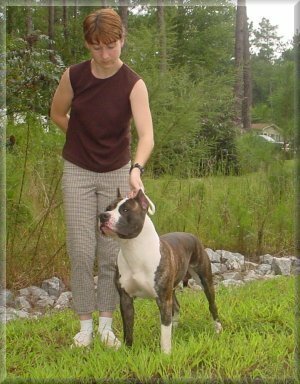 Storm will be shooting for his AKC title next year. Wish us luck!